The coal fired Methil Power Station, located on the on the mouth of the River Leven in North Fife, had been out of service for some time. 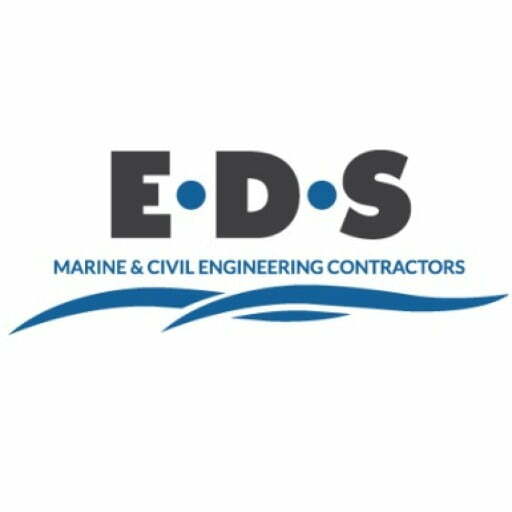 Scottish Power embarked on a significant decommissioning programme, within which EDS were contracted to remove and make safe the cooling water intake system. 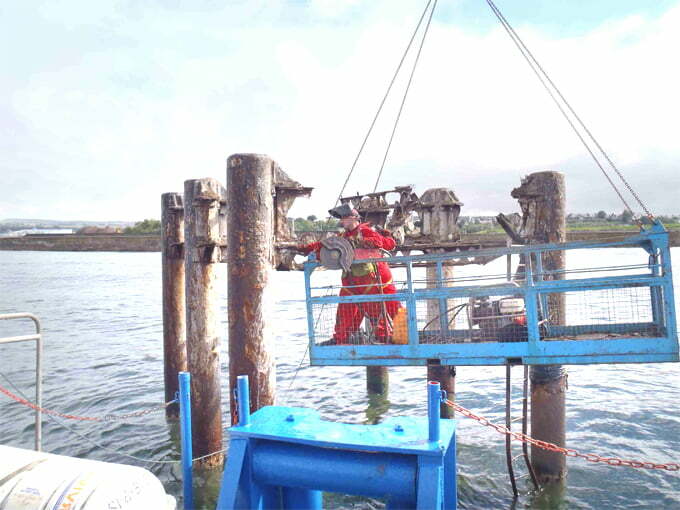 This comprised of the dismantling and removing the offshore inlet tower, infilling of rock armour to the offshore end of the 9’ diameter inlet culvert. The installation of a substantial grout plug to the shore side of the inlet culvert. The installation of a substantial grout plug to the outfall culvert, and the infill and reconstruction of the outfall revetment to match the existing sea wall. The scale of the works was considerable with material quantities in the region of 1300m3 for armour stone, 300m2 of dressed stone to match the sea wall, and 170m3 high grade underwater concrete. 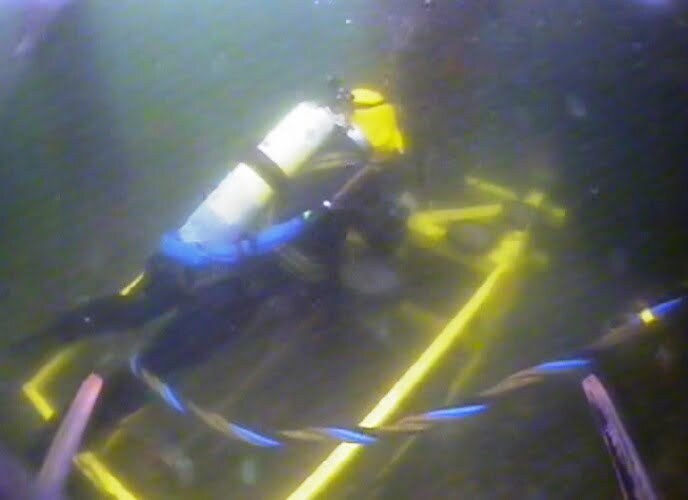 Correspondingly the plant required was also of a substantial nature, with the marine plant alone consisting of a 32m spud leg barge, a 25m multicat and a safety boat. 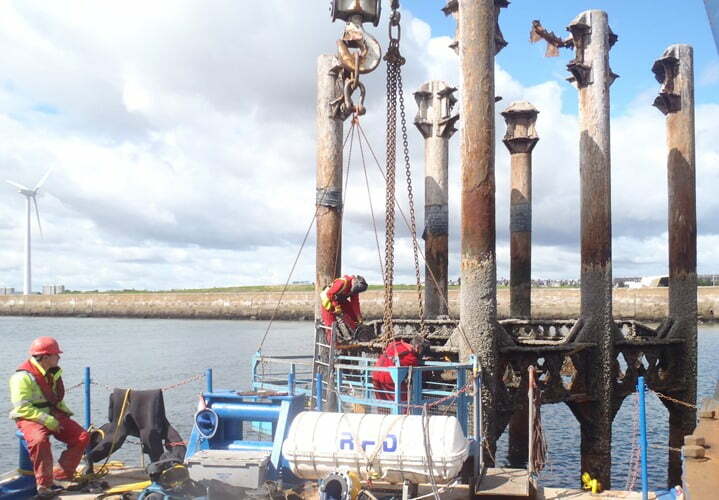 Shore side plant included grout pumps and a 25m long reach excavator. Specific considerations during the methodology planning stage were paid to the challenging location of the required works. The inlet culvert being permanently submerged under 10m+ of tidal seawater. 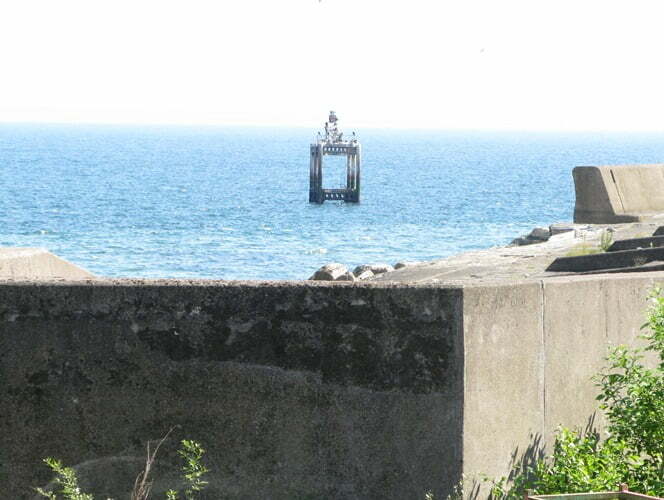 The offshore side of the inlet culvert/tower was located in an exposed location of the North Sea, whilst the outfall was located within the tidal/splash zone of the shore, in an area notorious for bad weather and rough seas, that was also within several nature reservation areas. The project certainly presented some challenges, including delays due to nesting cormorants. The first stage was to block and isolate the shore side inlet, where we created a concrete plug in the culvert leading to the power station. Using steel formwork with reinforcing bar drilled into the culvert we made a plug measuring approximately 15m long isolating the de-commissioned station from the North Sea. 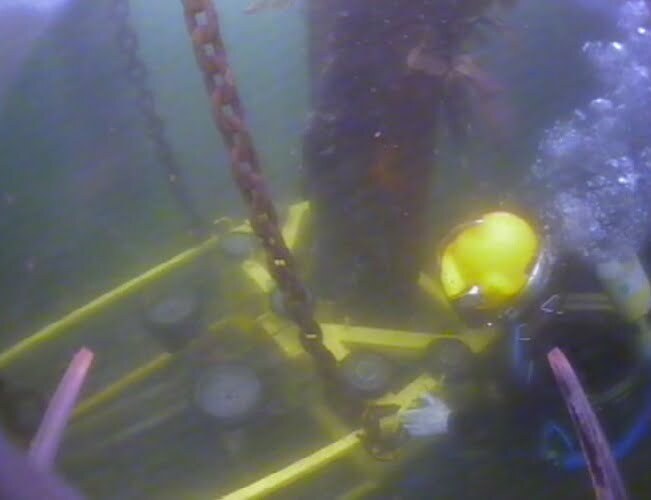 In order to remove the intake structure, we first had to cut down the steel framework, then winch and lifted off using a crane attached to a jack-up barge. 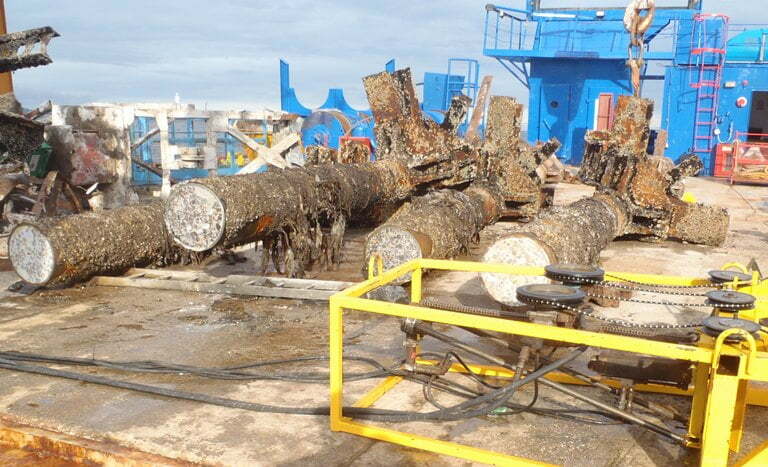 This left us with six piles that were to be cut off at the sea bed. We achieved this using a hydraulic diamond wire cutter; it took up to 40 minutes to cut through each of the 450mm diameter reinforced concrete filled piles. Take a look at the video below to see us in action.